Investing in an omnichannel initiative will increase sales, market share, and improve customer loyalty. It can be challenging to really see how profitability will increase with an omnichannel approach, but by just looking around, you will see how many businesses thrive because of this change. 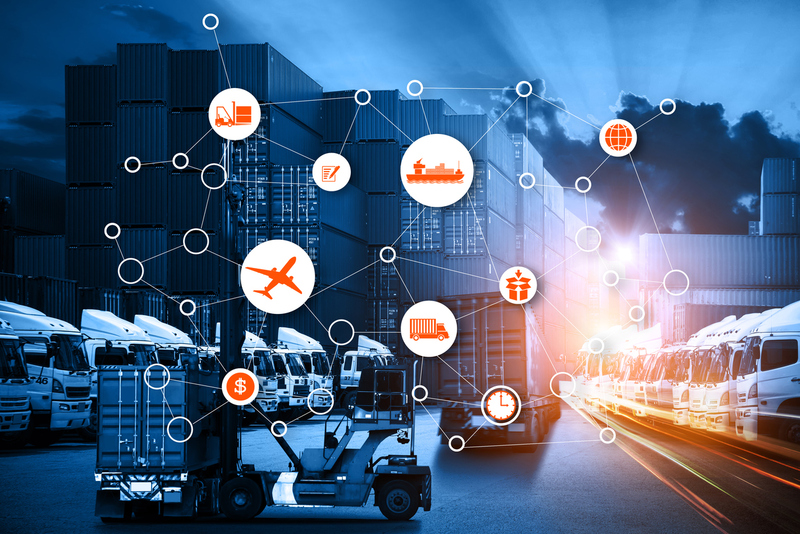 Data is a fundamental aspect of logistics operations, and the future of this industry relies on the ability to analyze data patterns and turn raw operational data into actionable insights. The industry is constantly changing, so staying ahead in providing excellent service is fundamental to your success. Companies are beginning to adopt big-data algorithms, data-visualization techniques, and smarter analytics to increase efficiency and expedite delivery times. In 2018, companies will need to use geographically specific data to meet the demand of certain products within a region, and ship those products early enough to meet customer expectations. Drone technology and smart glasses are two new products that are completely transforming the supply chain. They offer a competitive advantage in terms of automation, and are constantly being tested to discover new ways they can benefit businesses. Both products, when integrated into the supply chain, will lead to a more efficient supply chain. From faster deliveries, to hands-free route searches, to face recognition for error-free deliveries, these tools are providing incredible solutions for businesses. Take Amazon, for example: They have been using drone deliveries for some time now. Drones, equipped with powerful processors and cameras, can find optimized routes, and make deliveries without error. Smart glasses technology also allows companies to instantly get product information without needing to manually scan barcodes. The technology is constantly developing, so getting on board now will be a worthy investment for your present and future success. Did you know that approximately 80 percent of enterprises already have a form of Blockchain and Artificial Intelligence (AI) in production today? About 30 percent of enterprises are planning on expanding their investments into AI over the next three years. The autonomy and cognitive capabilities that AI tech offers will benefit businesses’ supply chain activities like nothing before. Companies like Facebook, Google, Apple, and Tesla all use AI as part of their supply management strategies. Throughout 2018, this trend will continue to be positively-exploited. Machine vision and robotics are already being used for facial recognition for a variety of purposes, from unlocking your iPhone to industrial applications like warehouses and law enforcement systems. Expediting order deliveries is one way to really impress your customers and gain an edge above your competitors. Thanks to increased technological intelligence, you can reach higher standards of customer service. One aspect of the supply chain that will change in 2018 is visibility. Customers expect to see their product’s journey from purchase to delivery. Perfect order deliveries are a way to measure how satisfied a customer is with the journey of their products. Elastic logistics is defined as a concept that enables a supply chain to flexibly expand or shrink their capabilities to align with internal and external demands within a given timeframe. AI has a positive impact on this concept by providing businesses with added flexibility to logistics functions by anticipating customer demands and managing operations to suit. The constant rise of digital technology will significantly improve business outcomes, especially if brands continue to reinvent their supply chain strategies. A digital supply network (DSN) combines talent, information, and finances. Today, brands are becoming more transparent to customers, and digital supply chains are being rewarded for their innovation. Compared to the traditional methods of supply chain management, this new kind is more scalable, rapidly growing, and intelligent. By developing a digital strategy, you will be able to proactively gain an edge over your competitors. Businesses in 2018 will want to ensure they are offering customers the utmost in convenience, and lower prices as part of their marketing strategy. The first effort may be to offer better deals online, but customers will also want a tangible experience with their product. When customers want to buy a product for themselves or for someone else, many will visit several physical stores to look for better deals. Online may offer good deals, but especially for retail, customers would rather walk through the shopping mall to find the products in front of them, and compare prices from store to store. Showrooming is one way to win customers over, but “webrooming” is also a newer strategy that works. In-store Wi-Fi allows in-store players to gain access to exclusive discounts and “click and collect” online orders. This helps drive customers from their screens back into physical stores. These trends are both equally strong sales models that you should incorporate into your strategy. 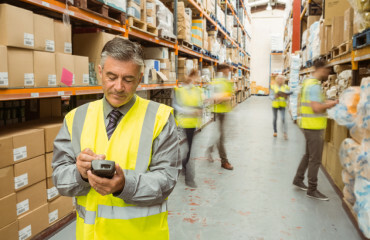 Your business will benefit from an omnichannel solution, which allows for efficient and effective operations by ensuring all entities within a supply chain are working together.